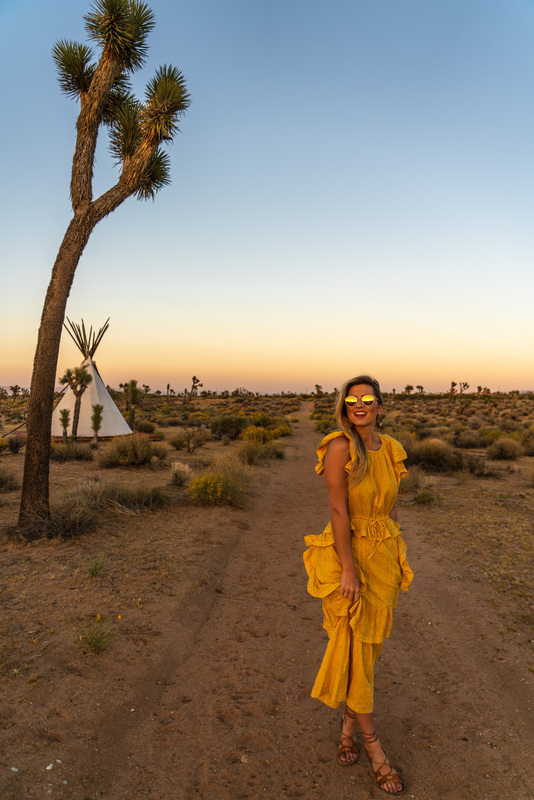 If Yosemite is for the ‘ain’t no mountain high enough’ intrepid thrill seekers, then Joshua Tree is for the ‘ain’t no desert hot enough’ hipsters of heart. The sunny, friendly vibes this place gives off make me want to return for a lazy weekend spent reading tarot cards and living amongst the J Trees (which aren’t even trees at all but part of the agave family). Only 2 1/2 hours from LA, it’s the perfect respite from traffic…city life…but yeah, mostly traffic. Let me be frank. I went inside the gates to the national park, and it was one time too many. 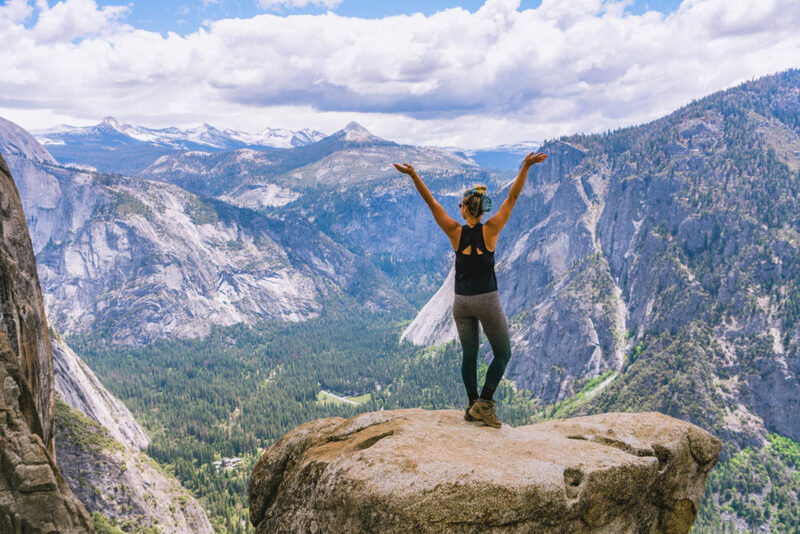 The purpose of these parks around the country is land conservation and preservation of natural beauty. This one in particular is just over the size of Rhode Island – so lots to explore (requiring lots of fuel in your tank!). 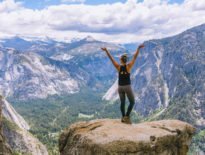 I had just ventured south from Yosemite where I climbed mountains and saw meadows and lakes and canyons and wilderness and ah. Diversity, ya know? 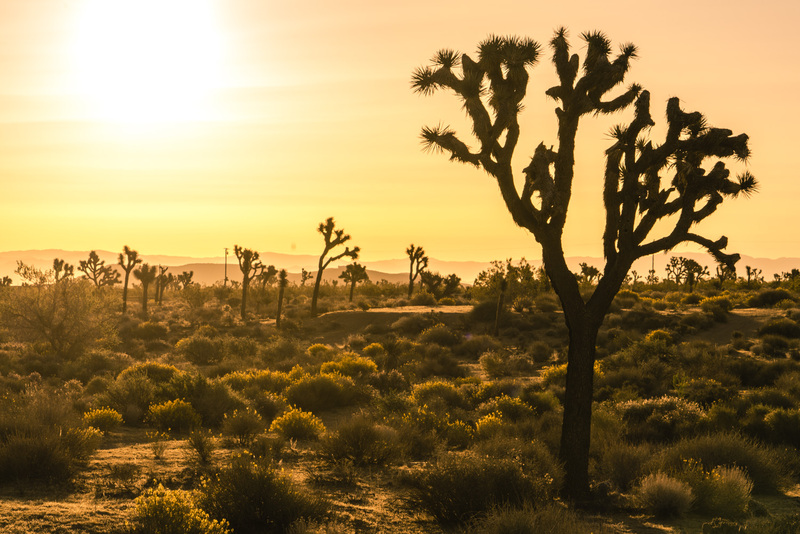 Joshua Tree National Park is a sight to see – maaybe like once. Lots of Joshua Trees and some boulders. End of list. 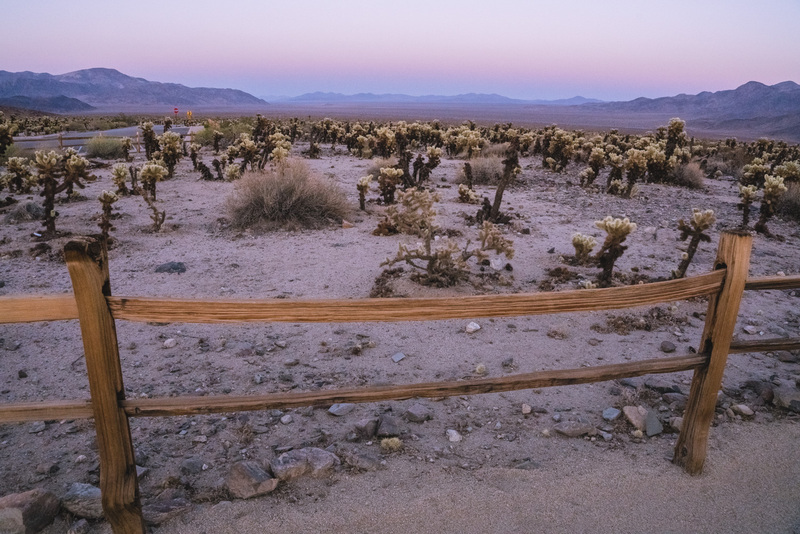 Other options inside the park: Hidden Valley one-mile hike trail, Keys View 360 degree lookout, Skull Rock and Cholla Cactus Garden. 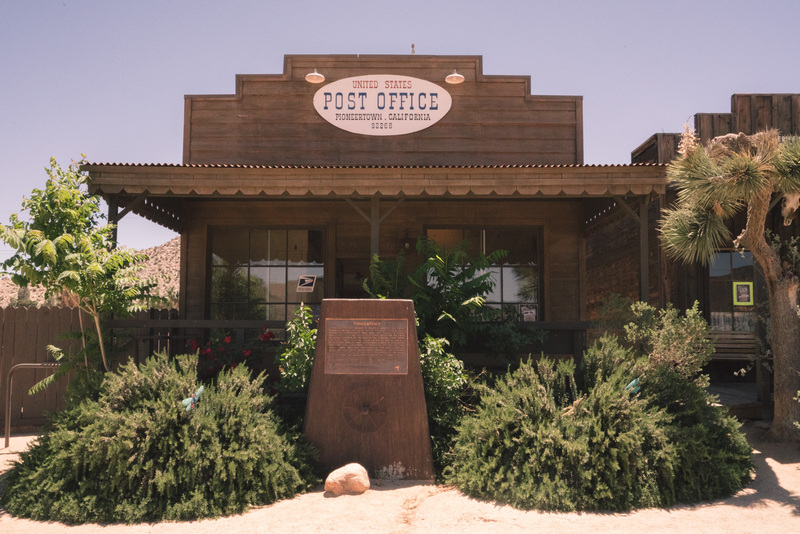 Pioneertown – I totally thought this was a fake town until I drove in and realized it wasn’t actually a TV set. This is A REAL TOWN with a police station, a church, a restaurant, a bar and a post office, from which I actually mailed a wedding present! It’s worth the 10 minute walk-around as well as the lunch at Pappy and Harriet’s – so so delish. 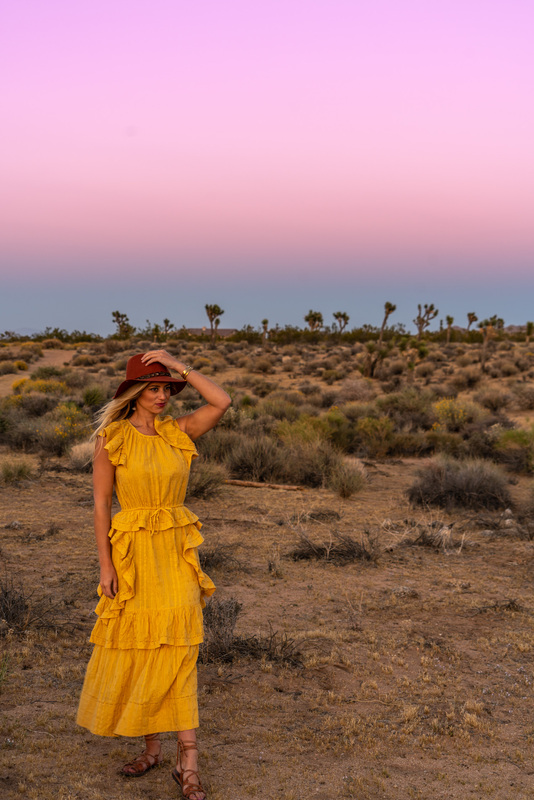 Sound Bath Integratron – It is with a heavy heart that I cannot tell you about the Integratron (based off of experience) as it was booked solid upon my Joshua Tree dates. I wanted to mention it in case there’s an open date for you AND THEN YOU MUST MESSAGE ME AND TELL ME EVERYTHING. 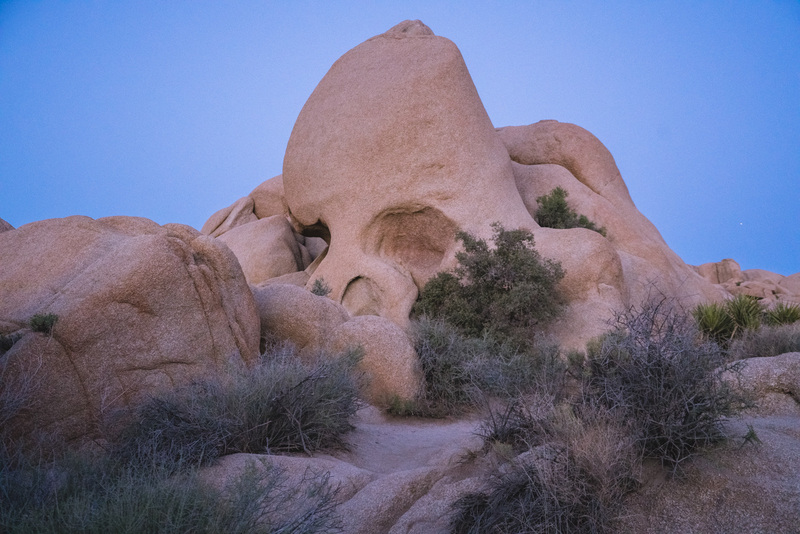 Basically, it’s a very quirky Joshua Tree thing and billed as “60 minutes of sonic healing.” I think you pretty much post up in a lawn chair situated inside a dome structure and bathe in sounds for an hour. The history of this place is far out, man. Stargaze – Don’t forget to look up! 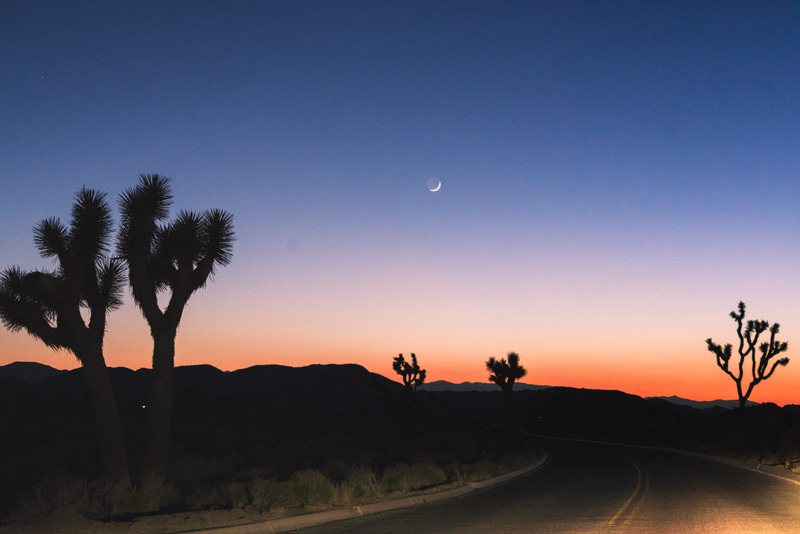 The night sky in J Tree is jam packed with stars – perfect for a cozied up romantic evening or epic photog session. Frontier Cafe – I could easily see myself working all day here among good drinks, coffee, beer, breakfast and lunch. Homemade granola bars and Joshua Tree coffee. NOM. Natural Sisters Cafe – I’m really not a salad person, but these salads are massive and yummy. Pappy & Harriet’s – My mouth is watering thinking of the pork sandwich from here. Loved the vibe, loved the staff, loved the food. Solid place all around. 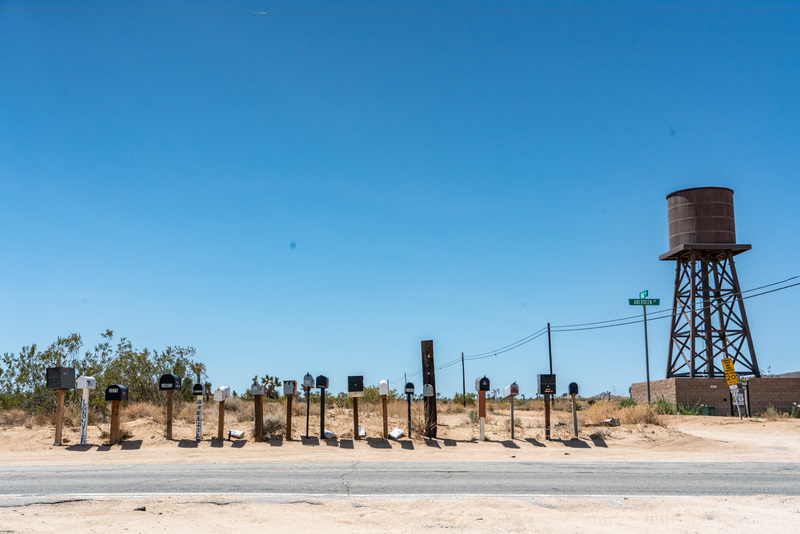 Gadi’s Bar – Eateries tend to close by around 9pm in Joshua Tree so if you’re like me and explore until way past dark, go here for pizza and really good playlists. Lazy Sky – What a freaking gem this place is. I’m a fan of glamping, especially when it’s in a landscape like THIS with interiors like THESE. And yeah, the bathroom is lovely and only a few yards away alongside a kitchen and grill. The dream. 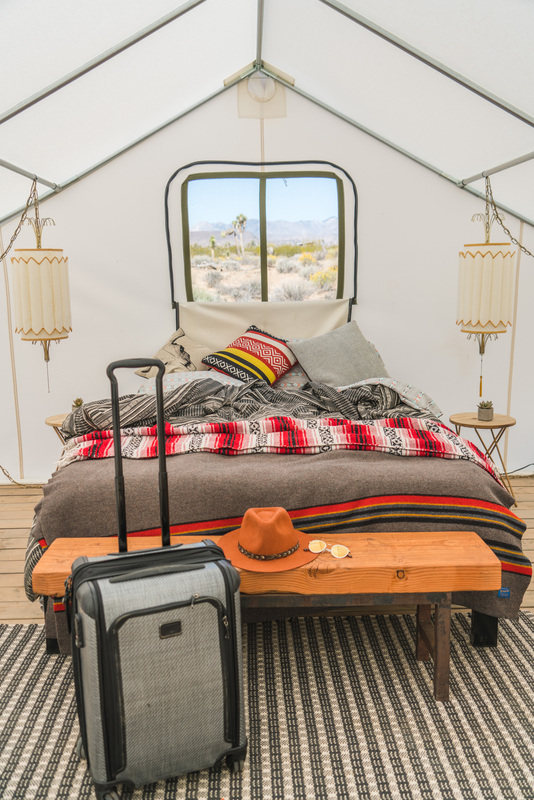 Pioneertown Motel – Situated in Pioneertown (yeah duh), this little motel is popular. As I was photographing the “lobby,” I heard the receptionist say they were booked for at least a few months out. A good problem to have. Airstreams aplenty – I’m not sure where the airstream got its start again, but the silver bullet boom is upon us. 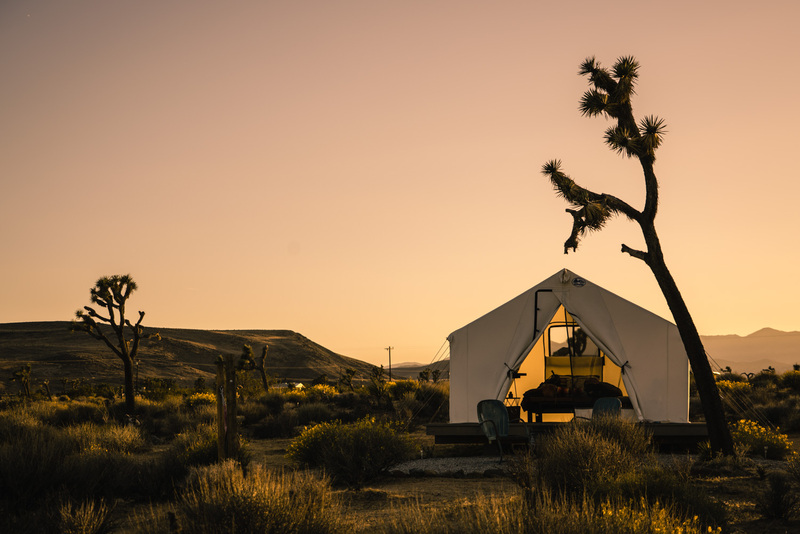 Places like Joshua Tree Acres and the like have become a big lodging option here and for good reason. They’re so…instagrammable. Brb while I shoot myself for saying that. I love my Tumi and Samsonsite carry-ons. Depends on your price point – those are both great brands though! Staying here tonight thanks to your post!! So friggin excited. Thanks for all your travel recommendations.